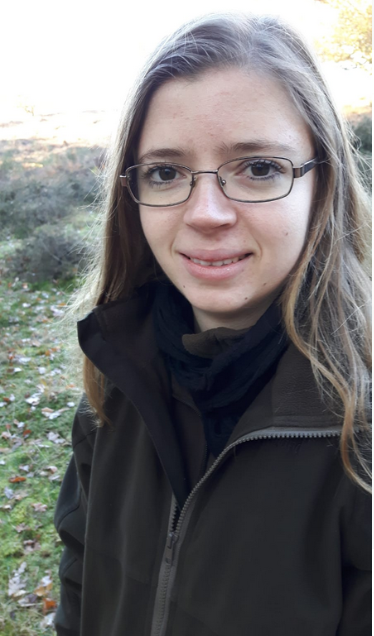 Hi, my name is Elke, I am 24 years old and I recently started with my PhD at the Resource Ecology Group at Wageningen University. My PhD is about how scavengers are incorporated in the terrestrial nutrient cycle by consuming carcasses (dead animals). My study consists of surveys and experiments. I will examine the nutrient composition of animals to obtain more insights into the nutrients that are involved in nutrient fluxes related to carcass decomposition. Furthermore, I will test the impact of biodiversity (scavenger community and diversity) on these nutrient fluxes by systematically exclude scavenger groups (e.g. wild boar, mammals, and (in)vertebrates) from carcasses. In these experiments, I will monitor the decomposition process based on e.g. nutrient concentrations in the soil beneath the carcass, changes in mesofauna communities and densities, and tissue consumption by vertebrate scavengers. In my spare time, I enjoy keeping some animals (e.g. horses and ducks), volunteering at WWF by teaching primary school children about nature, and I am involved in an otter monitoring and reintroduction project. During the course, I hope to expand my view on the dynamics of consumer-resource interactions, and how this relates to my project. I am looking forward to meeting you all!